At its core, The League is about driving innovation at a systems level. To do this requires bringing unusual actors together to collaborate across sectors and silos. 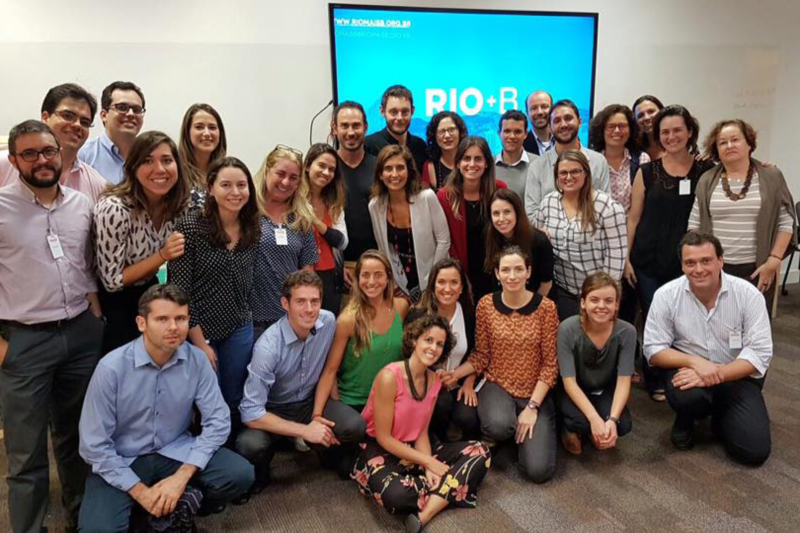 One such project is our work with the city of Rio de Janeiro where we are collaborating with Sistema B (the Latin American division of B Corporation), the BMW Foundation, Ellen MacArthur Foundation and the City of Rio to stimulate and support sustainable innovation across 200 companies. Each company takes the B Corp assessment to identify areas of need and opportunity.The League then works to identify intrapreneurs and accelerate projects for tangible impact through Rio+B Lab. We are expanding this program to other cities, including Medellin Colombia.